​​Tricycles offer the freedom of a bicycle with a ton of added stability and other welcome features. To make choosing the best adult tricycle easy for you, we’ve put together a guide of everything that sets winning tricycles apart from the pack and shows off our top five favorite adult tricycles. ​If you’re looking to buy an adult trike for the first time, the number of options can seem overwhelming. But ultimately, choosing the right tricycle for you boils down to thinking about how you plan to use it and, accordingly, what features are most important to you. In this section, we’ll cover some of the basics of adult tricycles and the features that differentiate them. There are a number of advantages to tricycles that make them better for several uses than their two-wheeled counterparts. ​First, the third wheel on a tricycle offers a level of stability that no bicycle can match - a tricycle won’t fall over when it stops moving! ​This means that tricycles offer a significant safety margin over bicycles, which many older people and even young adults who are uncomfortable around bicycles appreciate. It also means that balance is not a determining criteria of your ability to get out and ride, which levels the playing field for everyone. ​Second, tricycles have a much higher weight limit than even the sturdiest of bicycles. ​This makes tricycles perfect for people who would rather ride to the grocery store than drive - and they can easily be outfitted with accessories designed to help you carry your purchases around town​. ​Are tricycles really for adults? ​Yes! Tricycles have a history of being used to introduce small children to riding before moving them onto a bicycle, but they’ve also been used for years by older adults ​who don’t want to risk falling over on a bicycle but still want to ride. Plus, as tricycles have become more streamlined and marketed for everyday riders, their usable range has grown more similar to that of a traditional bike.Recumbent Trike is also good option for Adults. Here is our buyers guide to find the best adult recumbent trike with reviews. The main downsides with new tricycle models compared to a bicycle are that they take up more space in the garage and move a bit slower than their two-wheeled counterparts.in that case,folding adult tricycle might help to save some space. ​Purchasing an adult tricycle, just like buying a bicycle, involves making a lot of choices about the features that are important to you. Many of these features in turn depend on how you intend to use the tricycle, whether for exercise riding, commuting, getting around town, or riding with the family. Here, we’ll cover some of the most important features to consider for different types of riding. Comfort is a critical component of any bicycle or tricycle, but it is especially important for tricycles since these are typically for leisurely rides rather than racing. However, comfort can be taken too far if you’re still planning to use the tricycle primarily for exercise. ​Leisure tricycles typically feature a plush seat and may have the seat set low and far back from the handlebars in a semi-reclined position. In addition, some highly reclined tricycles also have a backrest attached to the seat. Although this reclined position is comfortable for getting around town, if you plan to take the tricycle out for long rides or to push your heart rate going uphill, a tricycle with a more aggressive and forward seat will help you transfer power to the pedals. Adult tricycles are available in a variety of gearing configurations, with everything from fixed-gear to six-speed tricycles appearing on the roads. ​Choosing the gearing that is right for you requires thinking about your intended use. Having more speeds is great for workouts and going uphill, but also requires a lot more maintenance compared to single-speed or fixed-gear bikes. The latter, however, struggle going uphill or downhill. Unlike bicycles, which mostly use a single wheel size, tricycles vary widely in the diameter of the wheels they can handle. Although wheel size alone doesn’t relate to speed or effort, in combination with a set of gears it can determine how many times you need to pedal to move a certain distance. For a given gear set, a smaller wheel will require more turns of the pedals to go the same distance compared to a larger wheel, but the pedals will also require less effort with each revolution. In addition, not all tricycle wheels are made equally. Some wheels come with thick inner walls to cushion your ride from bumps in the road, while others come with thinner wheel walls that tend to ride faster but don’t dampen vibration as well. Also keep an eye on the number of spokes in the wheels – having more spokes typically indicates that the wheels can handle more weight between the rider and baggage, but the spokes also add more weight to the tricycle overall. Accessories can be almost important to a tricycles usability as the tricycle itself. If you plan to use your tricycle for commuting or for taking on shopping trips around town, look for tricycles that come with a basket or baggage rack built in. Plus, front and rear fenders can save you from getting soaked if you live in an area that sees a lot of rain. On the other hand, if you plan to ride primarily for exercise, these accessories can get in the way more than they help. Most adult tricycles are constructed from either aluminum or steel, and there are some important differences between the two. Steel tricycles are typically heavier, which translates to slower on the road, but can handle a greater load of rider and baggage and tend to be more durable in the event of crashes. Aluminum frames are often lighter for faster rides and still provide excellent durability, but also tend to be more expensive. Thankfully, maintaining a tricycle doesn’t require any special parts. Most tricycles use the same components as bicycles, which means that it’s easy to find anything you need at your local bike shop. How difficult maintaining your particular tricycle will be comes down largely to whether you have multiple gears and shifting cables and caliper or disk brakes. ​Schwinn offers this adult tricycle as a single-speed tricycle with 26-inch wheels on the front and rear. As long as you do not plan to ride over hills, the single-speed is perfect for both exercise and riding around town and requires very little maintenance. The frame is aluminum with a large step-through drop in front of the seat to make it easy to get on and off the trike. The aluminum frame is speedy yet durable and comes in a variety of colors to help you brand the tricycle with your personal style. The 26-inch wheels are not only on the large end for adult tricycles, which provides stability even when taking high turns at speed, but also feature thick tires to help cushion your ride from any bumps in the road. The chain is covered with an aluminum housing, which makes maintenance difficult when required but also helps, along with the fenders included over each wheel, to keep you clean and dry in wet conditions. ​Another added bonus is the included rear basket, which is large enough to carry multiple grocery bags and folds down when you are not using it. The seat is reclined to give a laid-back position when riding, which somewhat detracts from the speed offered by the large wheel base and aluminum frame. In addition, although the seat is plush, the actual shape can be somewhat uncomfortable to ride for extended distances. ​​Aluminum frame is relatively lightweight and features a step-through design for easy on and off. ​26-inch wheels provide speed and stability when cornering. ​Comes with fenders and a large, foldable metal basket for carrying groceries. ​Laid-back seat position detracts from use as an exercise tricycle and makes riding long distances less comfortable. ​Seat is designed in a somewhat uncomfortable shape for riding long distances. ​Stock inner tubes are thin and flat quickly. ​When storage space is a concern, a folding tricycle can be a great way to reduce the footprint of an adult tricycle without having to revert to a bicycle. This folding tricycle from Mantis is designed so that the front half of the tricycle – the handlebar stem and front wheel – can be folded backwards towards the seat post in a matter of seconds using an easy to handle quick-release lever. However, note that the rear wheels remain extended away from the tricycle’s center, so it still does not fold up small enough to fit in most vehicles. The tricycle itself is constructed of steel and also uses a steel front fork, which adds significant weight but is better at dampening vibration than an aluminum fork. The drivetrain uses a single-speed gear system, which reduces complexity and maintenance at little cost to flat riding. Interestingly, the tricycle includes only a front caliper brake – although this is not unheard of among leisure bicycles, it does make for more jarring stops and requires practice to get control of the braking mechanism. The seat post is somewhat relaxed, although it sits more forward than on other tricycles to give a nice balance between aggressive riding and comfort. In addition, the seat is plush and wide to easily accommodate larger riders. One caution with this tricycle is that Mantis tends to have poor quality control on its manufacturing, and many of their units are shipped with severe assembly mistakes that can be costly to fix at a local bike shop. ​Folding tricycle is easy to switch between folded and riding positions with a quick-release handle and significantly reduces storage footprint. ​Wide, plush seat to accommodate larger riders comfortably. ​Single-speed design requires little maintenance. ​20-inch Kendra Kwest wheels provide stability, traction, and vibration dampening. ​Mantis has poor quality control during manufacturing and assembly that can lead to costly defects out of the box. ​Steel fork adds weight and reduces speed. ​Tricycle is still too large to fit in most vehicles when in folded configuration. ​The Schwinn Meridian 24 is the little brother of the Meridian 26 and comes packed with many of the same features. The slightly smaller wheel size reduces top speed and stability by a little bit, but arguably offers the same great riding at a significantly reduced price. In addition, the 24-inch wheels lead to a frame design that tends to be a better fit for women and shorter men than the 26-inch wheel frame. Like the 26-inch wheels, the 24-inch versions use a metal alloy rim that prioritizes speed over vibration dampening. Although the spoke count remains unchanged between the 24- and 26-inch wheels, which means both will be plenty sturdy for carrying heavy groceries, the 24-inch tricycle also accelerates significantly faster than the 26-inch version because of its overall smaller size and lower weight. Like on the Meridian 26, this tricycle is designed with a sturdy and durable aluminum frame with a step-through opening in front of the seat to make getting on and off the tricycle easy. The seat is significantly reclined and the handlebars are elongated and raised to allow you to reach up towards them while leaning backwards. For adjustability, the handlebars can be adjusted through a 3-inch height range. The tricycle comes with wrap-around fenders on each wheel as well as the same foldable metal basket found on the Meridian 26 that is perfect for carrying groceries and other items. ​24-inch wheels result in frame that is better suited for women and short men than the companion 26-inch design and is less expensive. ​Accelerates faster than the Meridian 26 due to smaller size and weight. ​Aluminum frame is light compared to steel tricycles and offers step-through design for easy on and off. 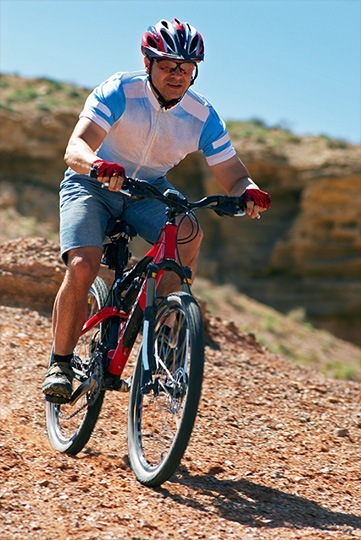 ​Handlebars can be adjusted through a 3-inch height range for customized fit. 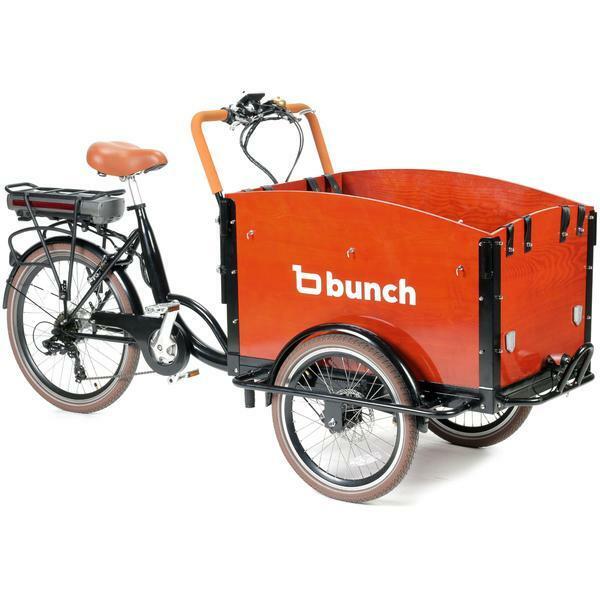 ​Comes with wrap-around fenders on all wheels and a foldable metal basket for carrying bags. ​Seat is reclined very far back for high-intensity rides and can be uncomfortable to sit on during long rides. ​Smaller 24-inch wheels offer a slightly slower top speed and less stability when turning compared to 26-inch wheels. ​Raleigh built a performance tricycle in their Tristar, but it comes with a hefty price tag – this tricycle costs nearly twice as much as the Meridian tricycles from Schwinn. The frame and front fork are constructed fully of steel which, although heavy, is excellent at dampening vibrations through the frame. A significant benefit to the frame, though, is that Raleigh offers a limited lifetime warranty on the frame to the original owner of the tricycle. The design also features a step-through opening in front of the seat post to make it easy to hop on and off the tricycle. Another nice touch to this tricycle is the internally geared 3-speed hub in the rear. This hub allows the tricycle to function seamlessly across three speeds, which opens up the possibility of ascending small hills. Meanwhile, the internal gearing requires very little maintenance compared to a traditional rear cassette. Shifting is easy to control from the handlebars without moving your hand from its natural position. The wheels on this tricycle differ in diameter between the front and rear. The front wheel is 24 inches, while the rear wheels are each 20 inches. The difference allows the tricycle to be more stable when riding and especially when rounding corners at speed. All three wheels have brakes, and the front brake is specially designed as a lockable parking brake. ​Although the front wheel has a wrap-around fender, the rear wheels lack fenders – a significant inconvenience considering the price of the tricycle compared to its competitors. ​Durable steel frame comes with a limited lifetime warranty for the tricycle’s original owner. ​Internally-geared 3-speed hub enables small hill climbing and requires very little maintenance compared to traditional rear cassette. ​Differential sizing between front and rear wheels increases stability when turning. ​Front brake can be locked to use as a parking brake. ​Steel frame is somewhat heavy given the high price point of this tricycle. ​Rear wheels do not come with fenders, although they can be purchased separately after-market. This tricycle from Komodo Cycling may lack the style of the other tricycles in our review, but it makes up for it with 6-speed gearing for versatility when riding. Although this tricycle is not designed for racing, having the ability to change gears makes this tricycle significantly easier to ride if you have large hills around your town. The shifting is relatively seamless thanks to Shimano components, and because there is only one chainring on the front of the tricycle there is no need to worry about cross-chaining. However, because of the presence of a rear derailleur, expect to spend some time maintaining the shifting system on this tricycle over time. Another notable feature of this tricycle is that the seat features a backrest. The seat post is moderately reclined, so you may find the backrest to be a big boost to your comfort while riding if you suffer from lower back pain or struggle to sit upright in a reclined seat. Although the seat could be wider, it does offer enough cushion to remain comfortable over moderately long rides. The frame itself is steel and actually lacks a front fork, which gives this tricycle a squished appearance. The lack of a front fork also means that there is a noticeable amount of vibration transferred from the front wheel to your hands, which can eventually cause pain on rough roads. The tricycle comes with fenders on the front and rear wheels as well as a large metal basket that is perfect for carrying groceries. ​6-speed shifting system is seamless and enables you to tackle moderate hills, albeit slowly. ​Seat features a backrest to help with lumbar support in the laid-back riding position. ​All wheels have brakes, which helps to slow the tricycle evenly when descending hills. ​Comes with fenders on all wheels and metal basket for carrying groceries. ​Frame lacks a front fork, which allows vibrations to travel freely from the front wheel to your hands. ​Rear derailleur will require maintenance over time and is difficult to access since it is located between the rear wheels. ​Looks less stylish than many other adult tricycles. ​This highly versatile adult tricycle from Bunchbike is a great choice for riders who want to be able to carry their children around with them during their ride. The tricycle is designed to be the reverse of most tricycles, with the two-wheeled axle out in front, so that your kids are always visible in the large cargo box in front of you. The cargo box is designed to accept a child seat so you can place a small child safely in the box, or it can be used for hauling groceries and stuff. There’s also a rear pannier rack for carrying your gear when the cargo box is filled with kids. The tricycle has a large comfortable seat that features a relaxed riding position to ease pressure on the shoulders and knees and is padded to prevent pain in your bottom after hours of riding. The step-through frame design makes it easy to get on and off the tricycle and allows you to stand over the bike when stopped at red lights. The handlebars have a somewhat strange geometry that can take some getting used to, but the design offers solid handling and multiple hand positions for comfort. The tricycle is available in either standard or electric-assisted versions and has a six-speed Shimano cassette on the rear wheel. The tricycle also comes with disc brakes and has puncture-resistant tires, so you’ll be certain not to flat during your ride. ​Now that you know what features to look for in an adult tricycle and have read our reviews of our five favorite tricycles, we can announce the clear winner of our round-up: the Schwinn Meridian 24. Although similar to the Meridian 26, this model was significantly less expensive and the smaller size provided for better acceleration and offered a more comfortable fit for most women and many men under six feet tall. The aluminum frame makes this tricycle lighter than some of its competitors, while the single-speed gearing obviates the need for time-consuming maintenance of shifting mechanisms. However, the lack of shifting does present a problem if you live in a hilly area. Other features that set this tricycle apart were included wrap-around fenders on all wheels, a foldable metal carrying basket, and adjustable handlebars. Altogether, these features make it easy to use this tricycle for a mix of riding for exercise and riding around town. ​With Rydoze, I just want to share my experiences and help you along on your cycling journey. I’m putting the answers to all of your biking questions in one place. From the most basic to the advanced. You’ll find the information you need.